ISLAMABAD: Pakistan Poverty Alleviation Fund (PPAF) and the United Nations High Commissioner for Refugees (UNHCR) have signed an agreement for jointly taking forward the poverty graduation approach with the ultra-poor/vulnerable poor Afghan refugee population residing in districts Pishin and Swabi of Balochistan and Khyber Pakhtunkhwa provinces respectively. The initiative aims at making an effort to graduate the Afghan refugee population and their host families up the poverty scales and simultaneously providing them with sustainable livelihoods. The Poverty Graduation Pilot for Afghan Refugee Families will help develop the capacities, opportunities, assets and productivity of Afghan refugees and their host families to reduce their vulnerability to shocks, improve their livelihoods and strengthen their business operations. 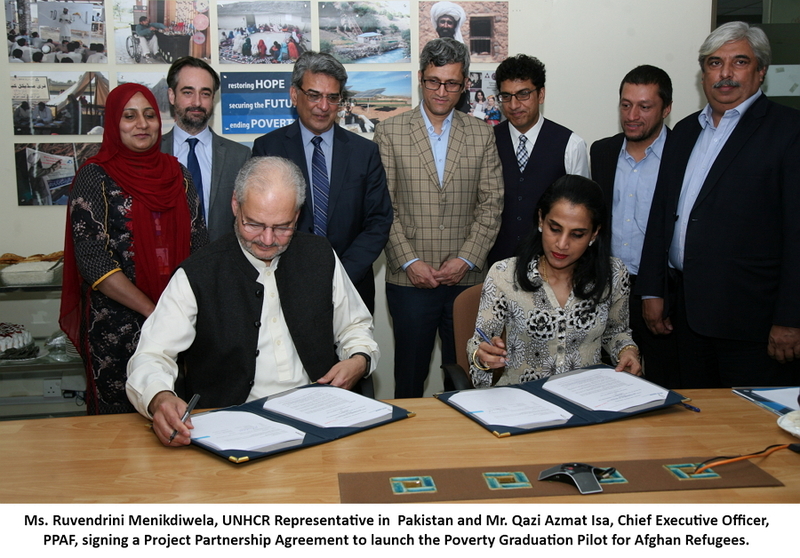 The signing ceremony was attended by UNHCR Representative in Pakistan, Ms. Ruvendrini Menikdiwela and Chief Executive Officer, PPAF, Qazi Azmat Isa along with officials from the two organizations. The collaboration will benefit 2,000 families out of which 70% households would be those residing in settled camps and 30% of households would be that of host families based in the project areas. Speaking on the occasion, Ms. Ruvendrini Menikdiwela, Country Representative, UNHCR said, “Poverty graduation is practical approach, with the potential to contribute towards the creation of durable and sustainable solutions for refugees who live in Pakistan”. Qazi Azmat Isa, CEO PPAF hoped that this partnership of a pilot initiative will help to graduate Refugees and their host local families out of poverty. He said, “PPAF poverty graduation strategy combines elements of social mobilization, livelihood development, and financial inclusion thereby combining support for immediate needs with longer term human capital and asset investment to move households out of extreme poverty and into sustainable livelihoods." The poverty graduation programme is an approach that target families living in extreme poverty on less than USD 1.25 a day and having no access to basic services. This approach brings innovative and market based methods together to help people become independent by providing them with sustainable livelihoods opportunities. UNHCR’s priority in Pakistan is to achieve lasting solutions for one of the largest and most protracted refugee situations in the world. Pakistan continues to host approximately 1.4 million refugees. 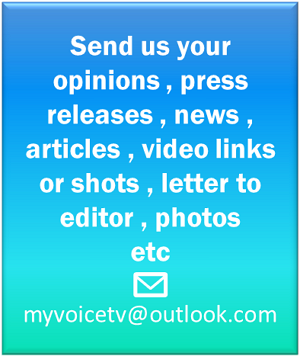 Most are from Afghanistan and live in refugee villages and urban areas. Since March 2002, UNHCR has facilitated the return of approximately 4.2 million registered Afghans from Pakistan. The Pakistan Poverty Alleviation Fund (PPAF) is the lead apex institution for community-driven development in Pakistan. PPAF works as private sector organization in support of public policy by providing an array of financial and non-financial services to the poorest and the most marginalized rural households and communities across Pakistan. PPAF’s investment in developing capacities of its partner organizations and community institutions has resulted in addressing poverty in vulnerable and remote areas and providing opportunities for sustainable livelihoods.PPAF approach is to develop representative, inclusive, transparent and accountable institutions of the poor. The catalytic role of women in programme design, delivery and impact is at the core of all interventions. Access and opportunities for women are enabled through financial assistance in the form of interest-free, loans, and asset transfer & livelihood development.